Stepping into a well-cut suit is transformative. It is quite possibly the most masculine uniform. 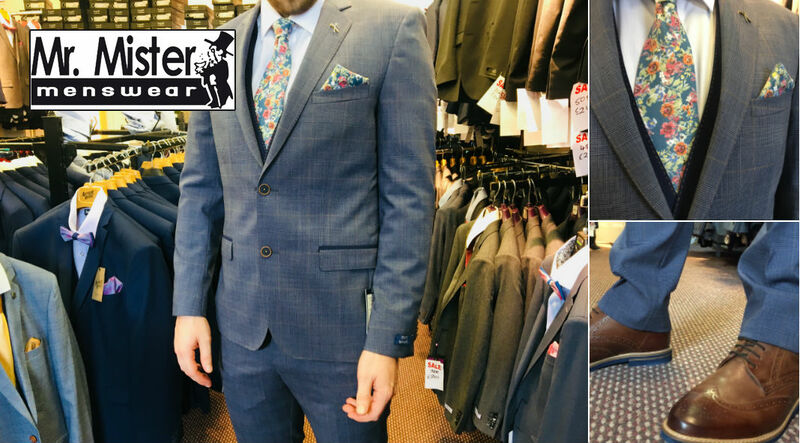 Not only will you look more stylish, you’ll walk taller and if it’s a well-tailored suit, it will give you loads more confidence, it can be like stepping into a new skin! Whether its for work or weddings, formal or just to look slick, having the right suit is a very important choice! From custom made luxury suits, to tuxedos and everything in between, Mr. Mister Mensware are sure to have the perfect suit for you (and of course your budget too! 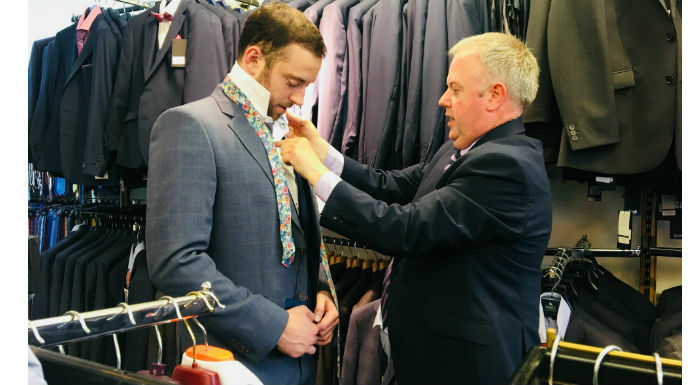 At Mr.Mister they have been providing a great dress hire service for nearly 20 years now so if you don’t want to buy a suit, you can always hire one. 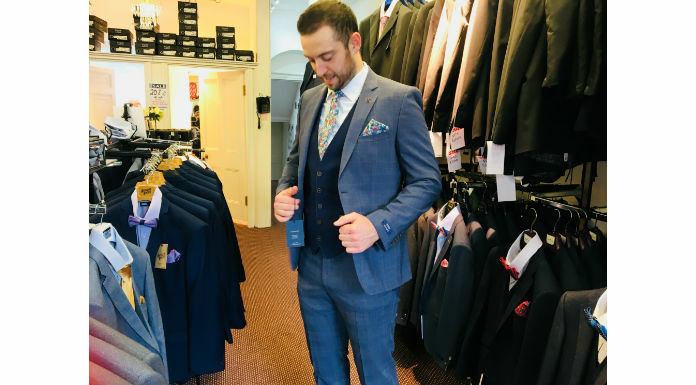 Their Formal and Wedding Suit department is renowned for its extensive collection of traditional morning suits to more contemporary fitted styles available in a private and comfortable setting. They cater for boys from age 2 all the way to a man’s larger sizes. Suits can be rented in a vast selection of colours, fabrics and styles, which can be mixed and matched to create the perfect look. Mr. Mister specialises in wedding hire, but also caters for all formal and black tie functions including balls and graduations. After learning how to tie a tie, we finally got him to do a little bit of modelling for us. This suit is a Magee 1866 hand tailored and finished suit with contrasting waist coat. Its a wool blend with a stretch material. It looks just as well with the jacket off too! 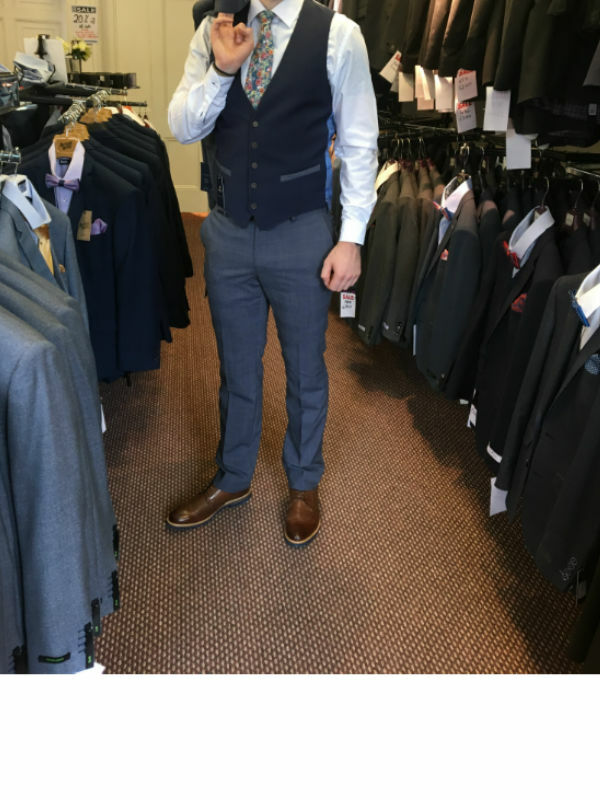 For more information on this or any other styles, visit Val and his team at Mr. Mister, they have 3 stores, Cashel, Cahir and Mitchelstown.